New reports out of the Far East suggest that while Apple is currently trialing iPhone units bearing sapphire-covered displays, the material will make its debut on the so-called "iWatch" rather than on the company's next-generation handset this year. 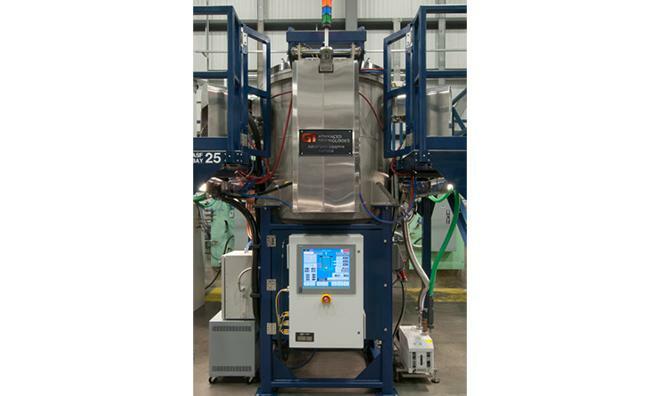 GT Advanced Technologies' ASF sapphire furnace, the equipment thought to be in use in Apple's new Arizona plant. Price is said to be the deciding factor, as Apple has apparently been unable to devise a way to add sapphire to the iPhone without substantially increasing the device's cost. The rumors cropped up on a number of Chinese websites and were first noted by GforGames. Cupertino, Calif.-based Apple has reportedly not run into similar issues with the still-unannounced iWatch. The rumors indicate that the wrist-worn device's 2-inch diagonal display will in fact bear a protective sapphire layer, much like the sapphire crystals used in other high-end watches. Taiwanese media reported late last month that Apple's primary iPhone manufacturing partner, Foxconn, had successfully completed assembly testing of prototype iPhone units with sapphire displays. At the same time, Apple's existing sapphire suppliers were seen making significant investments in equipment and tooling thought to point to a large order from Cupertino. It was then revealed that Apple had taken delivery of a substantial number of sapphire furnaces and inspection equipment at its new Arizona sapphire manufacturing facility. Some industry analysts speculate that, once fully operational, the plant would have enough capacity to manufacture sapphire display components for as many as 200 million handsets per year. Apple currently uses sapphire as a lens cover for the iPhone's rear-facing camera and as a protective layer over the iPhone 5s's flagship Touch ID feature.